On March 8, 2019 House Democrats stood up For the People and voted unanimously to pass the strongest and most comprehensive anti-corruption bill since Watergate - H.R. 1 the For the People Act. 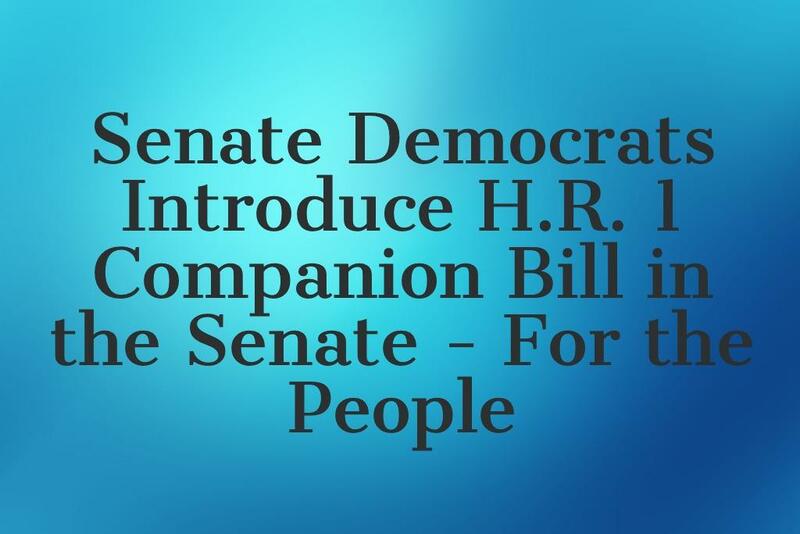 Today Senate Democrats unanimously introduced a companion bill to the For the People Act in the Senate. What about the Republicans? Every Republican in the House voted against H.R. 1 and thus in favor of corruption. Simply put -- the GOP voted against draining the swamp. Senate Majority Leader Mitch McConnell has flatly refused to bring H.R. 1 up for a vote in the Senate. His reasoning? HE gets to decide on what the Senate votes. That’s right. Republicans are in favor of corruption, siding with secret dark money donors, special interests, crooked lobbyists and corporations -- and against the 80% of Americans that support ending corruption and reducing the influence of special interests and dark money in Washington. Republicans are flipping the bird to voters across the country by refusing to end partisan gerrymandering, to designate Election Day as a federal holiday and to require automatic voter registration. Sign the petition today -- tell the Senate you support H.R. 1 For the People Act.